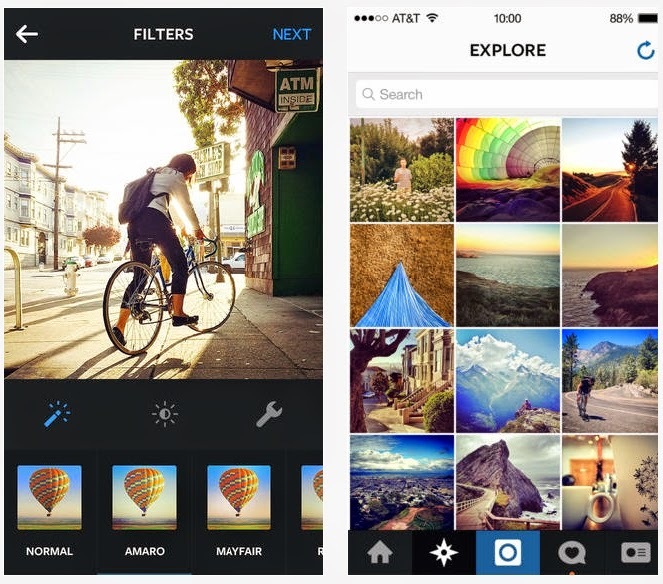 With 200 million users, Instagram is one of the most popular social networks. The app dedicated to the image provides a new update for its iOS and Android versions. new photo editing tools and image editing are available in this version 6.0.1 . Before you share an image on the social network, the user can apply filters, frames and edit the image. This is also one of the aspects that makes the success of Instagram. Last update offered thus relates filters. The intensity of the filter can now be adjusted, as the brightness, contrast, warmth, saturation and shadows. A new Tilt-shift effect was added to the app, and Filter option to improve the sharpness of the image. "To provide free short creativity is a very important point for us, and as the community grows, we are pleased to have more and more requests for changes and improvements photographs" notes in Instagram its announcement.